Valio Tchenkov was born 1966 in Svishtov, Bulgaria. He lives and works in Munich, Germany and Oresh, Bulgaria. He studied at the Academy of Fine Arts in Sofia and the Akademie der Bildenden Kuenste, Munich. His recent solo shows are “Traumraum”, Galerie Royal, Munich (2018); “Jumping over Three Seas… into the Fifth One”, Credo Bonum Gallery, Sofia (2018); “König des täglichen Nichts”, Old Prison, Freising, Germany (2017); “Minga – Moon”, Gallery Florian Sundheimer, Munich, Germany (2016); “Kunschelecke, raue Decke”, Projectroom Nagel-Draxler, Cologne, Germany (2014); “A Sunny Day: Sandpaper on One’s Back” (2014) and “...in a trice and for a while...” (2012) at Sariev Contemporary, Plovdiv. Tchenkov has participated in various group exhibitions such as “The day After Yesterday” (with Vincent Mitzev), Kunstpavillion Munich, Germany (2017); “V&V TV”, 56 Venice Biennale (with Vincent Mitzev), Gallery Royal, Munich, Germany (2015); “Why Duchamp? From Object to Museum and Back (125 years)”, curated by Maria Vassileva, SAMCA, Sofia (2012); ”Conviction”, curated by Wenie Wong (a.o. ), Dafen Art Museum, China (2010); “Sweet Case Eluminated”, curated by Katia Angelova (a.o. ), MAC/VAL Museum Paris (2007); ”Fuori Uso”, curated by Agnes Kohlmeyer, Pescara, Italy (2005); “Poesie Summer”, curated by Jan Hoet, Watou, Belgium (2003). In 2018 he participated in the Riga International Biennial of Contemporary Art (RIBOCA1), curated by Katerina Gregos. 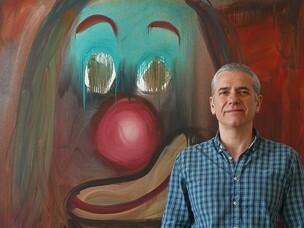 He has been nominated for the M-tel Unlimited Contemporary Bulgarian Art Award (2011). Valio Tchenkov is represented by Sariev Contemporary since 2012.